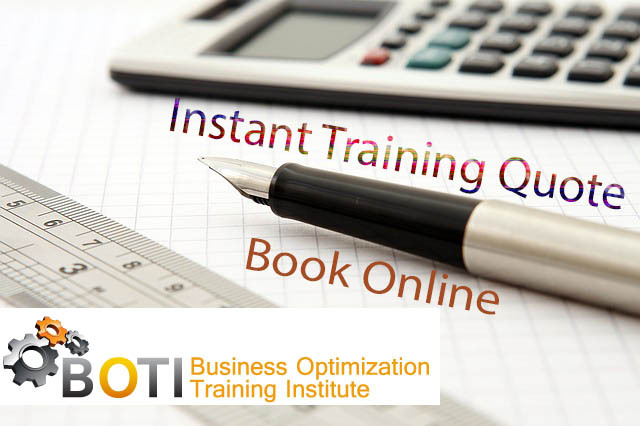 "Business Training across all sectors in South Africa"
BOTI has developed a unique online booking system, which allows you to instantly search through our database of 400 courses, for your desired course. You can then either book instantly for any day (5 days notice…even weekends) or obtain a customized Instant Training Quote in your company’s name tailored to your specific requirement. The best part about our system is that you can Book Immediately or Obtain an INSTANT customized Quote – We have simplified the booking process to make it easy and give you the widest selection of training. Our Algorithms have the “inbuilt assumption” that the bigger your Group, the less you pay per individual. 1. Time Management. Business Training in groups can reduce the time taken to get almost everyone up to speed, thus creating efficiencies. 3. Open Forums. Employees may learn more by hearing the questions asked by their co-workers than they would by training on their own. 4. Less Stress on Management. As experts in the field, sharing this knowledge has become our passion. Our business (headquartered in Johannesburg) and our skills portal has niche offerings that are designed with practical application to make an immediate impact in the workplace. We have also established strategic partnerships to provide niche skills and offerings. We train these essential business skills that optimize business processes and make a difference on the bottom line!